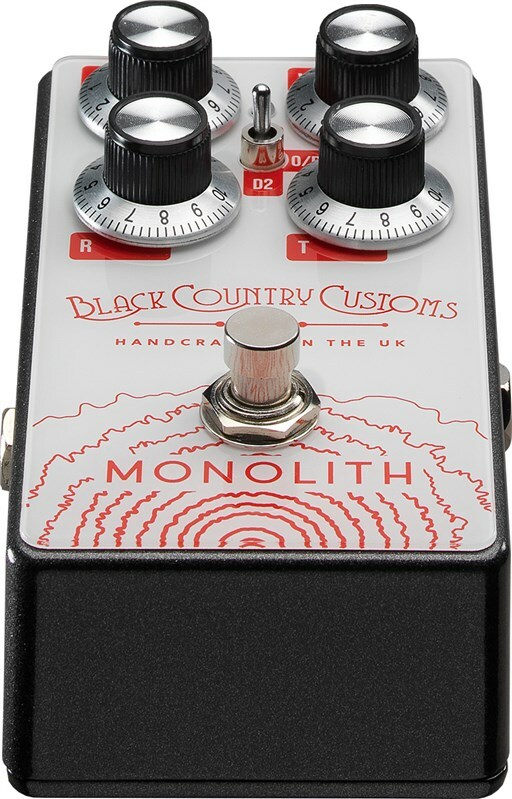 The Black Country Customs Monolith pedal is designed to give the player a total command and control over a spectrum of different gains and harmonic distortions from Classic fat rock tones to jangly indie lines, and everything in between. 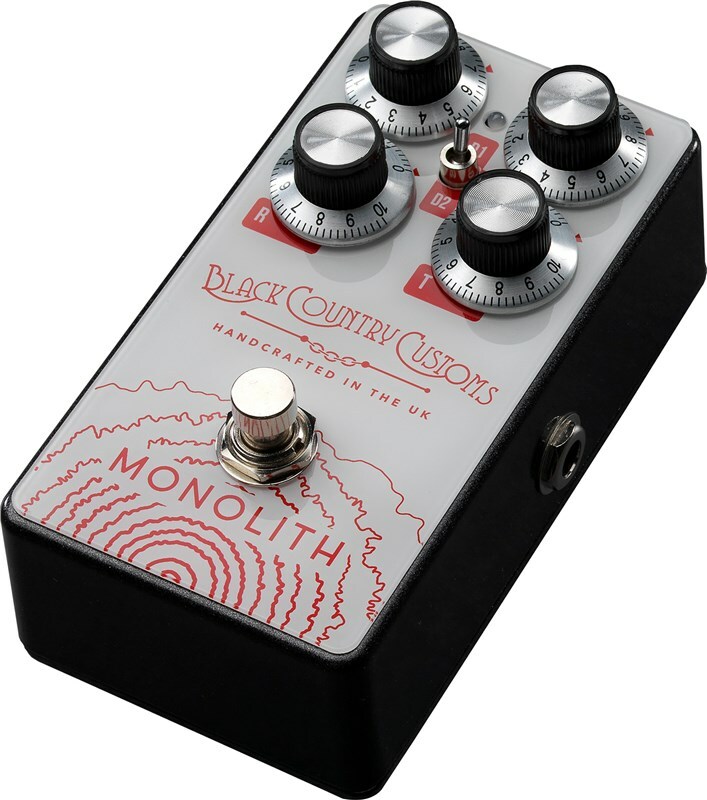 The Monolith delivers expressive gain even at low levels. With a very pleasing dynamic response to pick attack the harder you dig, the more expressive it gets. Even at high gain level, when you hit it hard you can still hear every note of big chords as well as the nuances of intricate lead lines. 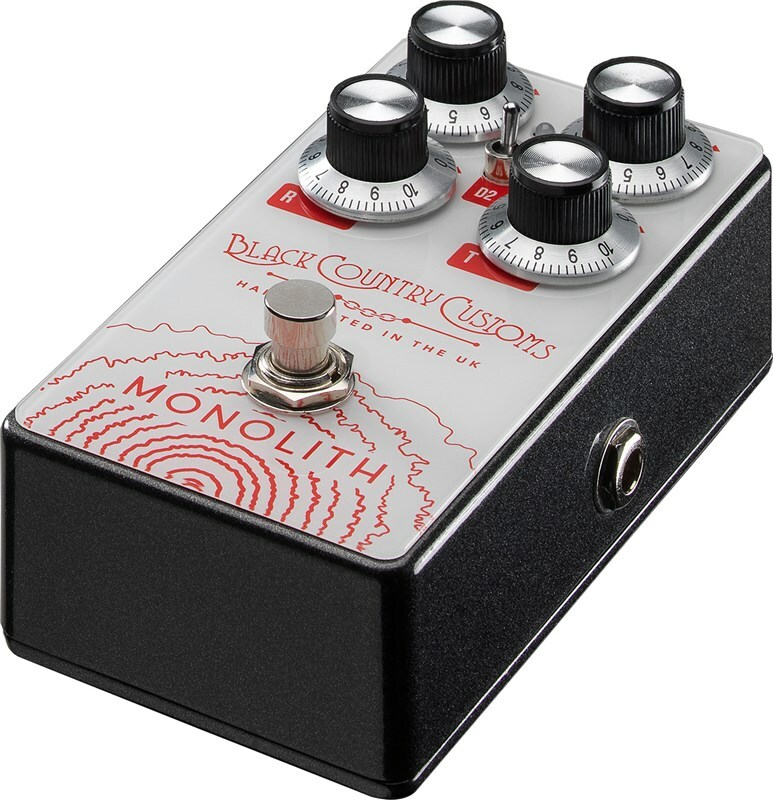 D2 Blue soft compressed distortion: A more expressive distortion with adaptive even harmonics at lower guitar levels. 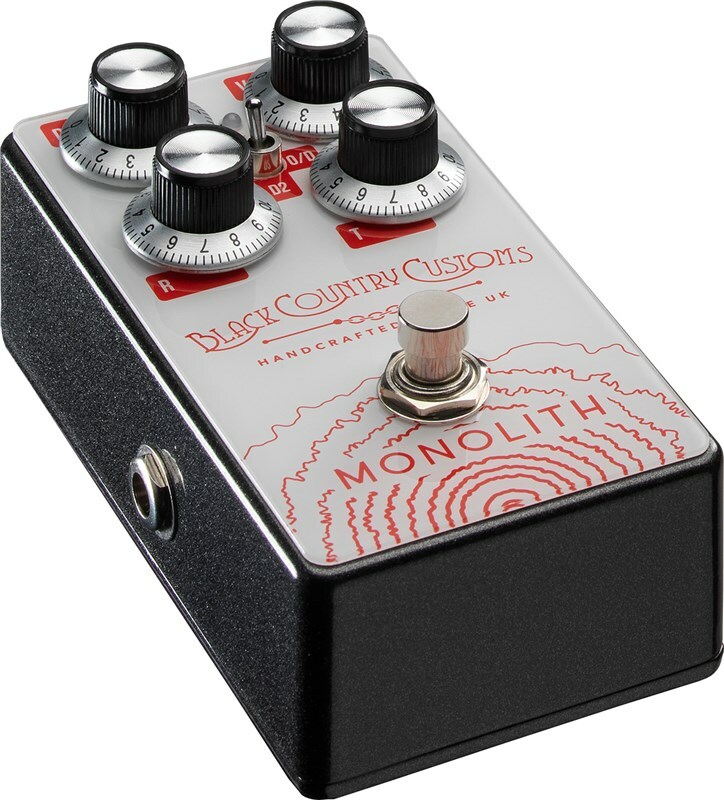 Allows more “dig” and expression into notes and less hard compression. 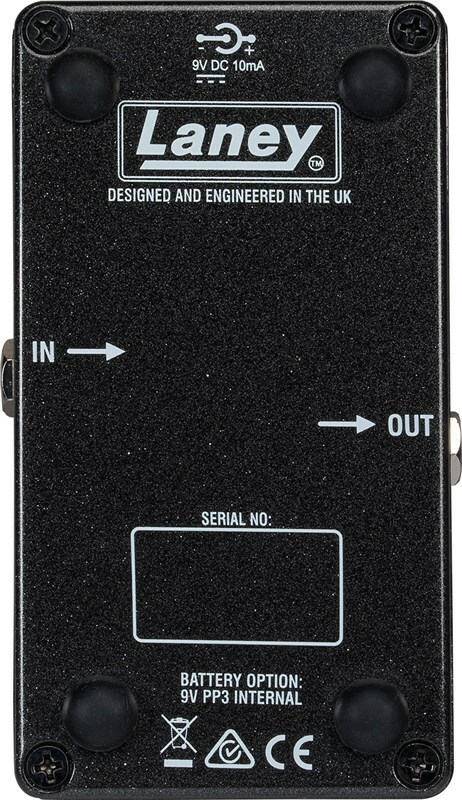 O/D Purple overdrive distortion: Good for boosting your sound level or pushing the front end of tube amps. 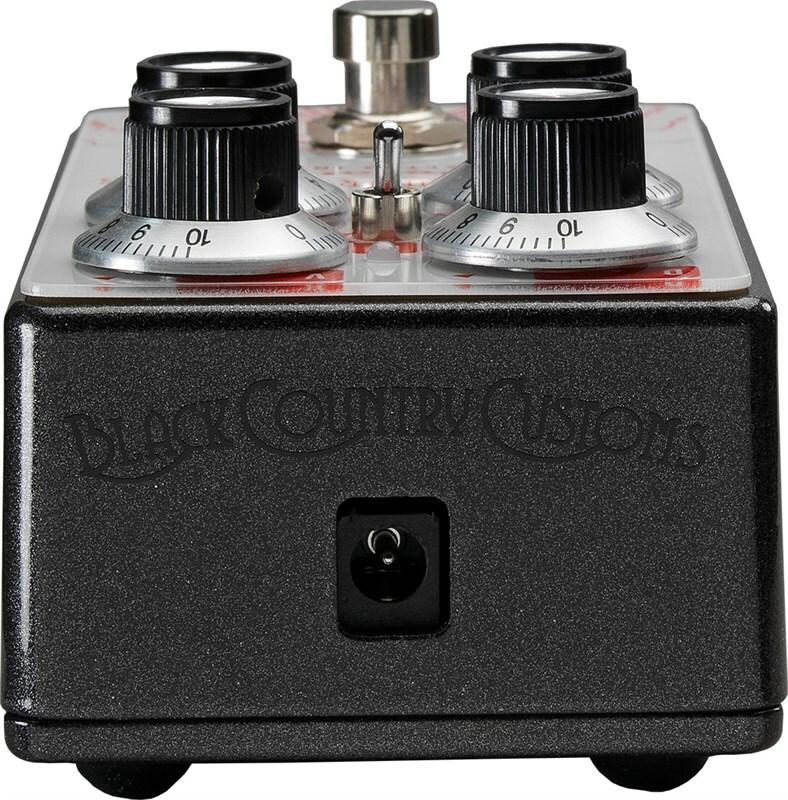 -Very little compression in this mode so your amplifier or following effects will do most of this colouration for you.